Almost 5km away from the town, the protestors pitched up tents in open fields where they cooked their food and stayed till evening. KURNOOL: What do citizens do when they have to protest against the local administration - stage protests or call for a bandh. 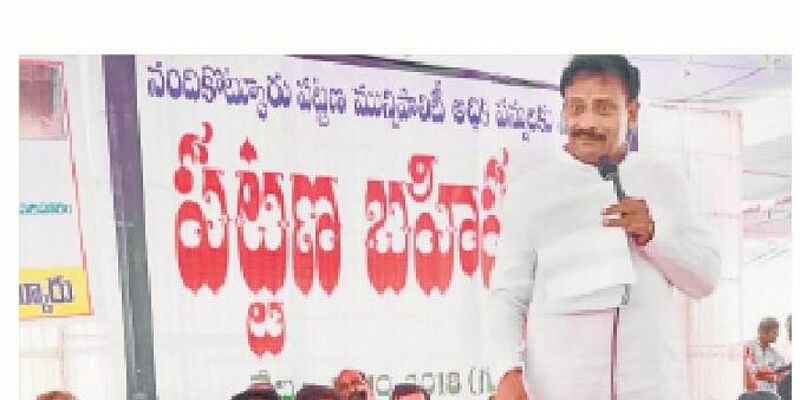 But, the people of Nandikotkur in Kurnool district, decided to vent their anger by boycotting themselves from the town on Thursday. For eight long hours, more than 15,000 residents of the town, 30 percent of the total population, stayed out of the town in protest. Almost 5km away from the town, the protestors pitched up tents in open fields where they cooked their food and stayed till evening. According to locals, it was in 2012, Nandikotkur mandal headquarter was upgraded to municipality from a major panchayat causing slight hike in the property taxes. In 2017 after a GIS survey was conducted, the taxes were increased nearly three times. They also contended that even as the taxes were increased three-fold, there was no development works taken up. Extending support to them, former MLA Byreddy Rajasekhara Reddy also demanded to know what was the need for paying the tax, if no facilities were provided. Nandikotkur Municipal commissioner Pandurangaiah maintained that tax was enhanced as per policy throughout the state and not just in Nandikotkur.